Driving under the influence of alcohol is a major offense regardless of which state you are in. Drinking and driving can result in serious consequences causing harm to yourself and others, and negatively affecting your life. While you may think that you are ok to drive after a few drinks, it is always better to err on the side of caution and avoid potentially life-altering consequences. The level of impairment is not dependent on the type of alcohol consumed, rather the amount of drinks in a certain period of time, so it is crucial to allow yourself plenty of time between drinking and driving. In America, a person is killed from a drunk driving crash every 50 minutes. This results in approximately 29 people killed per day from driving under the influence. Every 120 seconds, a person is injured from a drunk driving accident. Drunk driving happens most often between 1 AM and 3 AM. Finesranging from $400 to $1,000 in addition to court and administration fees. Driving under the influence is an extremely serious offense. 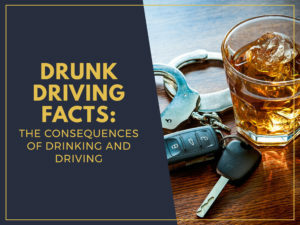 If you have been drinking, it is far better to err on the side of caution and not drive then to risk the devastating repercussions of a drunk driving crash or a DUI arrest. If you have been charged with DUI in Las Vegas, it is crucial that you hire an aggressive and experienced DUI Attorney to represent you. Contact CEGA Criminal Law for superior Las Vegas DUI Criminal Defense.